These very high quality 120gsm C6 dark blue peel and seal envelopes are supplied flaps closed and made from premium Clariana paper. 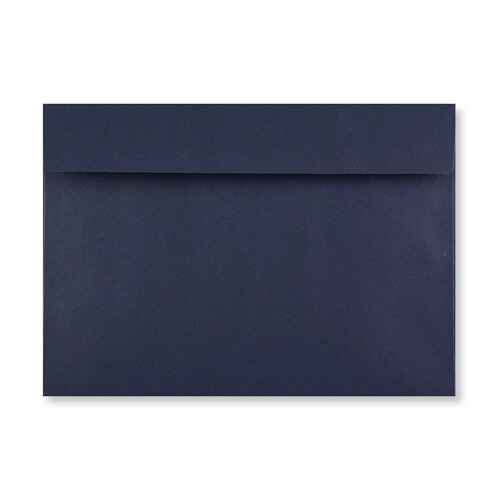 The peel and seal flap on these navy blue C6 envelopes have a 5 year shelf life. Suitable for digital and laser printing. Manufactured from sustainable forest products these C6 blue envelopes add an elegant and distinctive touch to any project. Size 114 x 162 mm to fit A6. These envelopes were amazing quality and such good value for money. We had a recommendation for this company from a family member and it has saved us a canny bit of money in preparation for our wedding. The self-seal was a total bonus, I highly recommend and would use them again in a flash. They arrived within a couple of days too.